Where heavier loads requiring greater stability must be moved with accuracy and stable velocity, the Series 12000 stages will perform that task reliably. With a 250mm base width, single and multi-axis configurations are available for demanding applications. Using high load capacity four journal rail bearings and a high precision ground ballscrew, these stages offer accurate control of position suited to laser machining and optical positioning systems. Limit and datum switches are fitted. Switch, motor and encoder connections are made through QM connectors. 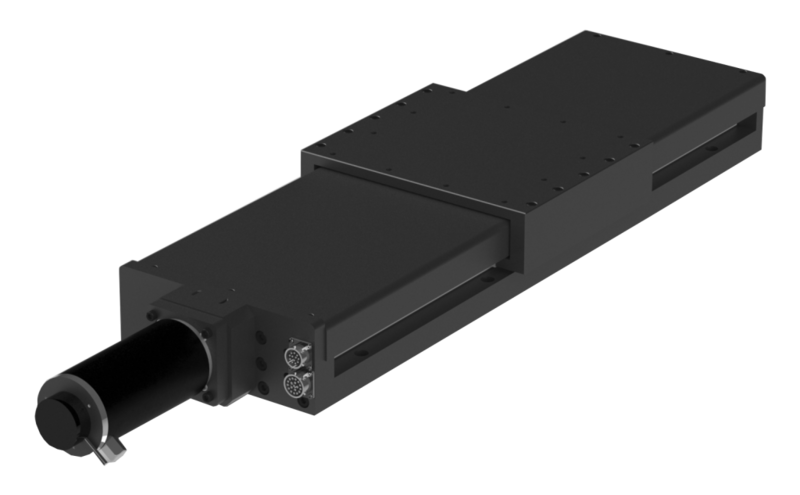 The Series 12000HT linear positioning stage is available with either stepping motors or servo motors with encoders and internally fitted linear encoders are also an option. The hard top cover is fitted as standard.